Wonderful vacation over the new year in Hong Kong. Will share more upon my return but first a few pictures. 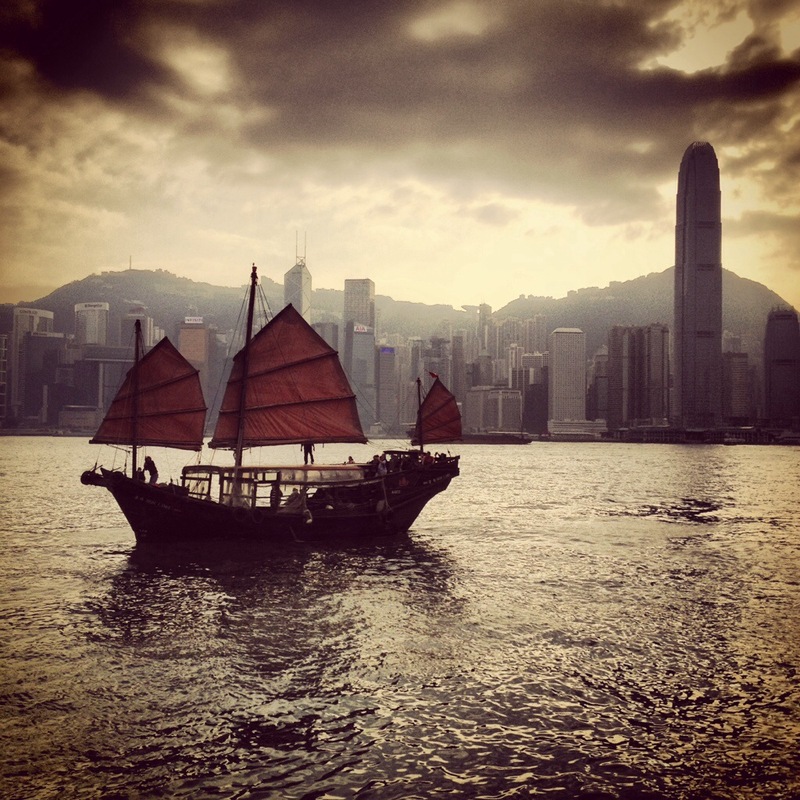 The setting sun over Hong Kong Island as viewed from the Kowloon waterfront. 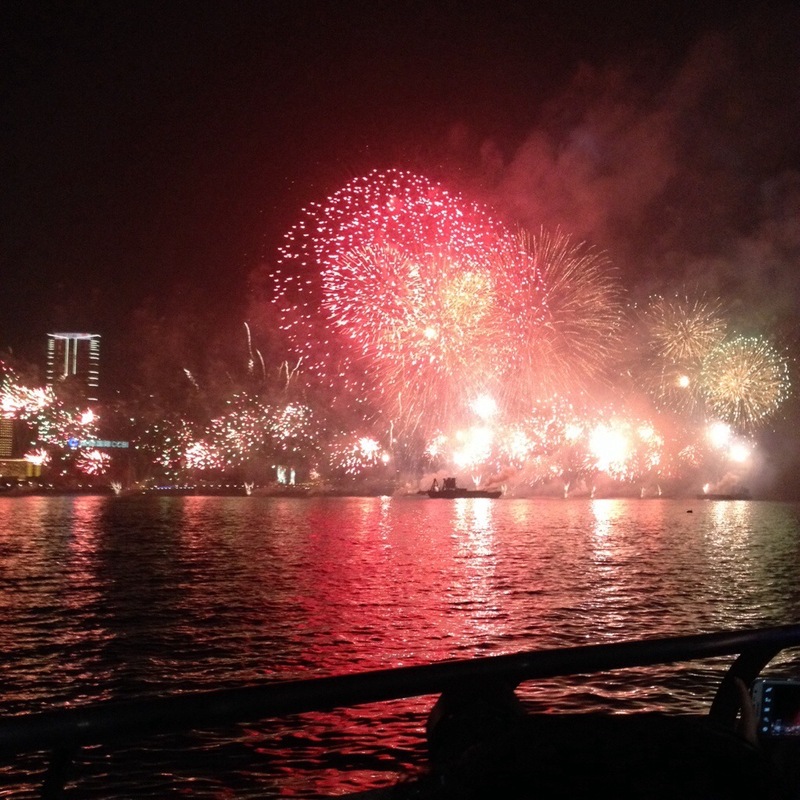 Fireworks as viewed from the waterfront in Wan Chai. Have waited years to see this and it was worth it. And, of course, we ate a lot of great food. 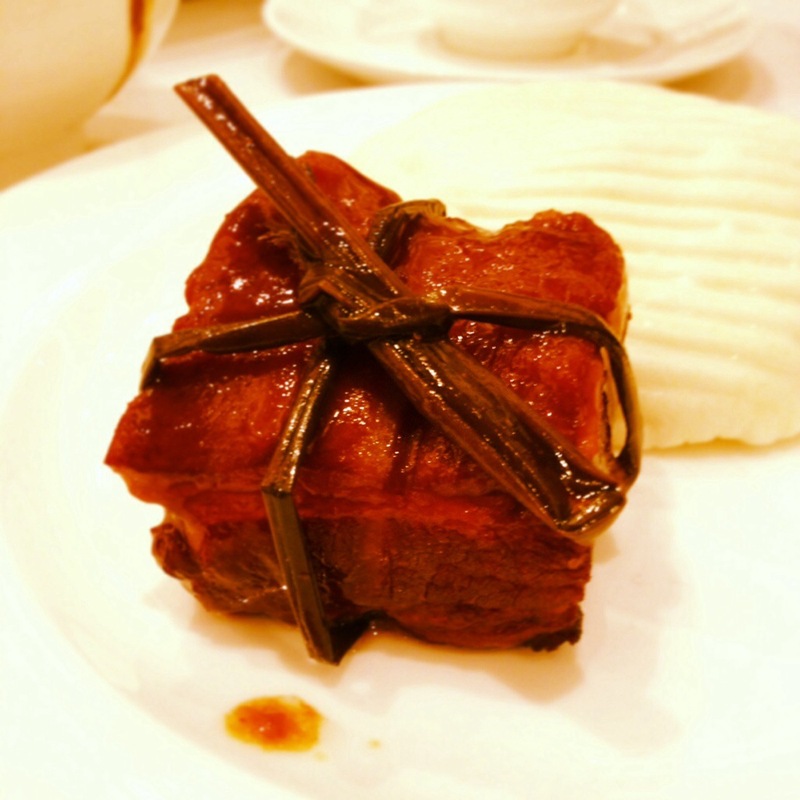 Here is some braised pork belly at Shanghai Min in Causeway Bay. Yum. Happy new year to you all! This entry was posted in Food, Travel and tagged hong kong by christao408. Bookmark the permalink. Nice pics…like the fireworks! Happy new year. Thanks – to you, too. I like the first one – it’s nicely framed. I can’t wait for the entry(ies) about your trip. Will get them posted ASAP. glad that you had a great New Year holiday here. Weather was warmer. The firework was great too. Really enjoyed the weather, which was quite a bit cooler than at home in Bangkok. Happy new year to you, too. Winter in Hong Kong is mild. Thanks – and to you, too! There you go – synchronicity! Very nice. The sunset with the junk looks stunning. It turned out nicely. Good lighting and good timing. Happy New Year! Need to write this down…See you next month! Looks like an absolutely wonderful time. Looking forward to seeing more photos of your trip. A very blessed and joyous New years to you and Tawn. I concur, the picture of the junk is awesome. Will come soon. Thanks for your patience.